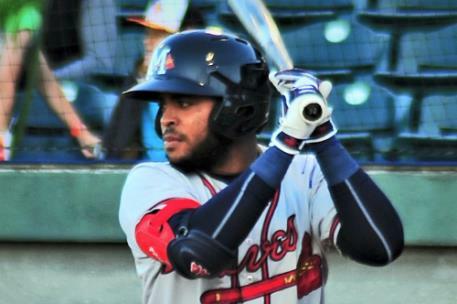 Mississippi's Luis Valenzuela hit two home runs in game, including a grand slam. Mississippi Braves infielder Luis Valenzuela blasted two home runs on Monday night, including his first career grand slam as the M-Braves smashed the Chattanooga Lookouts 13-4 in the series opener at AT&T Field. The offensive outburst occurred after both teams were held without a hit through the first three innings. Mississippi (4-5) began a string of scoring in five consecutive innings in the fourth by sending nine batters to the plate. Drew Waters started the rally by dropping in a single to left and advanced to second on a fielding error by Taylor Trammell. Cristian Pache singled placing runners at the corners and Alejandro Salazar brought home Waters with another single. Chattanooga starter Jordan Johnson (L, 0-1) recorded the first two outs but walked Jonathan Morales to load the bases. Valenzuela drilled a 2-2 pitch over the wall in right field pushing the lead to 5-0. Up 5-1 after four innings, the M-Braves plated two more runs in the fifth inning with two outs. Morales singled home C.J. Alexander and Salazar to make it 7-1. Valenzuela hit his second home run in consecutive at-bats, blasting a solo shot to right-center in the sixth inning. Connor Lien followed with a triple and scored a wild pitch to up the lead to 9-1. The scoring frenzy continued in the seventh when Pache and Alexander drew bases-loaded walks to run the deficit to ten at 11-1. M-Braves starter Joey Wentz came one out shy from being eligible for a victory on Monday, tossing 4.2 innings on 82 pitches. The 21-year-old walked just one and struck out seven, yielding just one earned run. Mike Mader (W, 1-2) relieved Wentz and retired the first four batters he faced, before running into trouble in the seventh. The lefty walked three and hit a batter, giving up three runs and seeing Chattanooga (4-5) trim the lead to 11-4. With a runner on and two outs in the eighth, Lien hit his first home run of 2019 into the seats in right-field extending Mississippi's edge to nine runs at 13-4. The 3 hour, 24-minute contest saw a combined nine pitchers used, 14 walks, 20 strikeouts and 16 runners left on base. The announced attendance at the game was 2,695. Taylor Trammell went 1-3 with a walk, run scored, and he had an RBI. Alfredo Rodriguez went 1-3 with a walk and a run scored. Luis Gonzalez went 1-3, was hit by a pitch, and he scored a run. 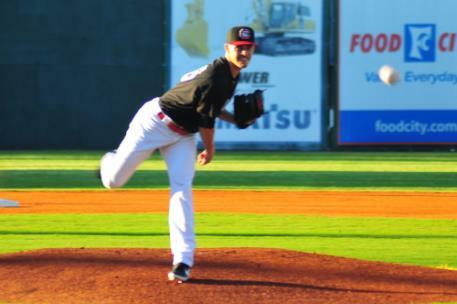 In game two of the series, Lookouts' veteran RHP Rob Wooten will face M-Braves LHP Tucker Davidson . First pitch is set for 7:15 pm with coverage beginning at 7:00 pm on 88.1 FM. Jordan Johnson suffered his first loss of the season for the Lookouts.